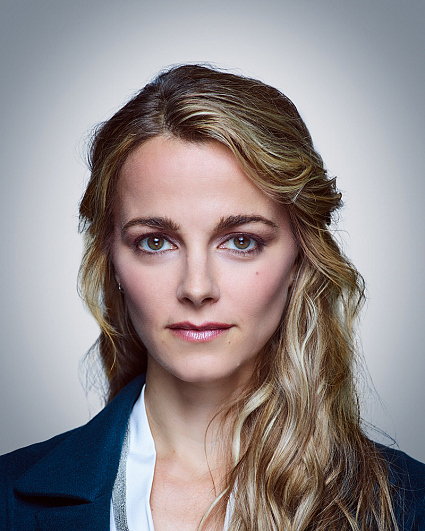 Serbian native Bojana Novakovic's television credits include Westworld, Shameless, and Rake. She received the Australian Academy of Cinema and Television Arts Award in 2004 for her role in the miniseries Marking Time. Novakovic's feature film credits include the upcoming sci-fi film Beyond Skyline, as well as The Hallow, The Little Death, Generation Um, Burning Man, Devil, Drag me to Hell, and Edge of Darkness. She is editing her first documentary, The Forbidden Aunt, which she directed and shot. Between projects, she stars in a show she created called The Blind Date Project, in which she has a surprise guest each week that takes her on an unscripted and unrehearsed "blind date." The show has had runs in Edinburgh, Sydney, Melbourne, Los Angeles, and New York. Novakovic trained at the National Institute of Dramatic Arts in Australia and has had starring roles with all of Australia's major theatre companies, including The Sydney Theatre Company, Melbourne Theatre Company, Malthouse, and the Bell Shakespeare Company. Also, she ran her own independent theater company, Ride On Theatre, from 2003 to 2013, for which she wrote, directed, and starred in numerous productions and earned numerous theatre award nominations. Currently, Novakovic lives and works in Los Angeles. She is a professional photographer who has had two solo shows in Los Angeles. Her hobbies include motorcycle riding and training in Muay Thai. She is involved with B Project/Seven Summit Women Nepal, a project she started with the Seven Summit Women to rebuild schools and get kids off the streets in the district of Sindhupalchok, Nepal. Her birthday is July 12. Follow her on Twitter and Instagram @bojnovak.